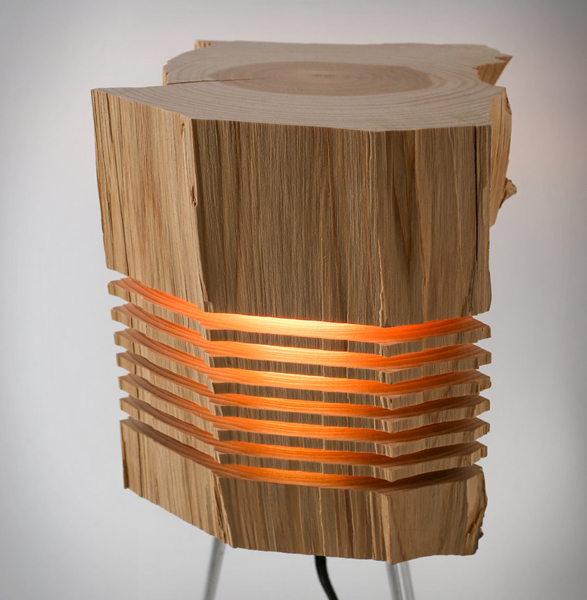 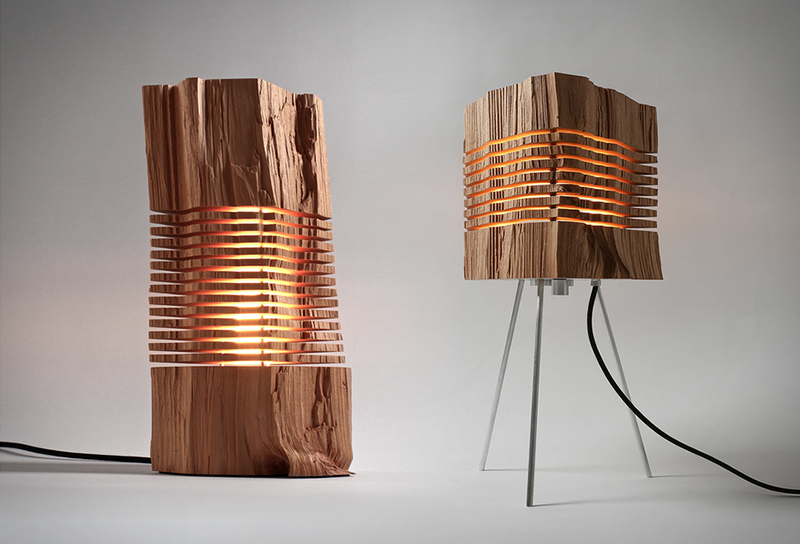 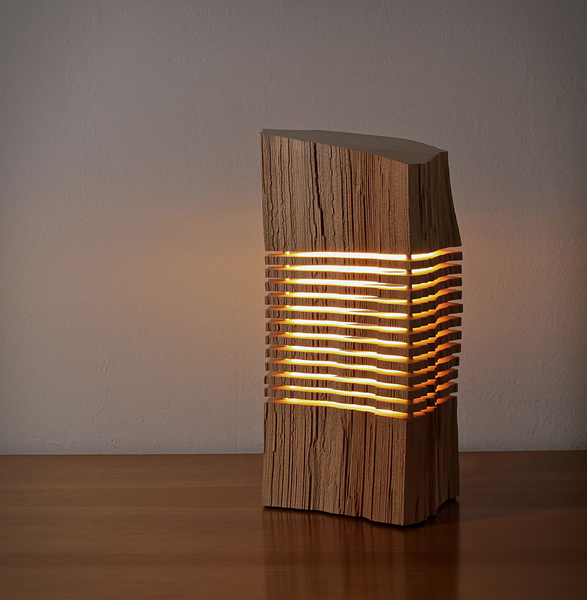 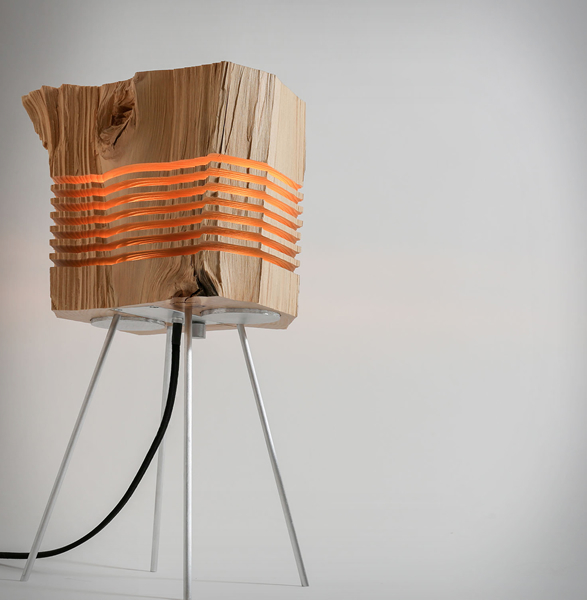 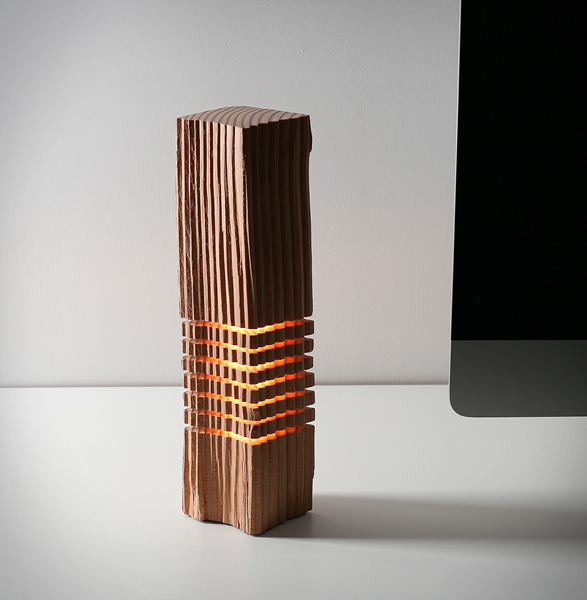 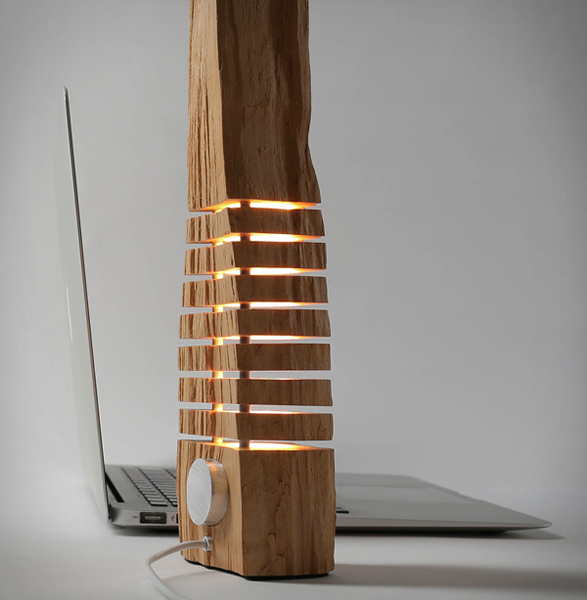 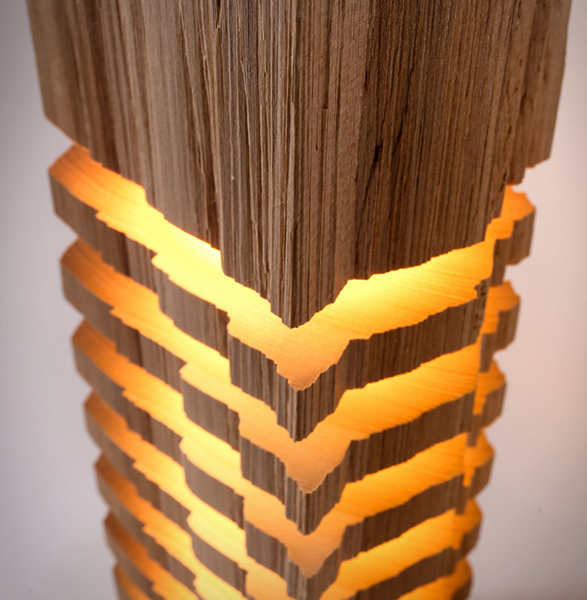 Split Grain is an LA-based studio owned by designer Paul Freckler, he makes these exquisite lights with reclaimed wood. 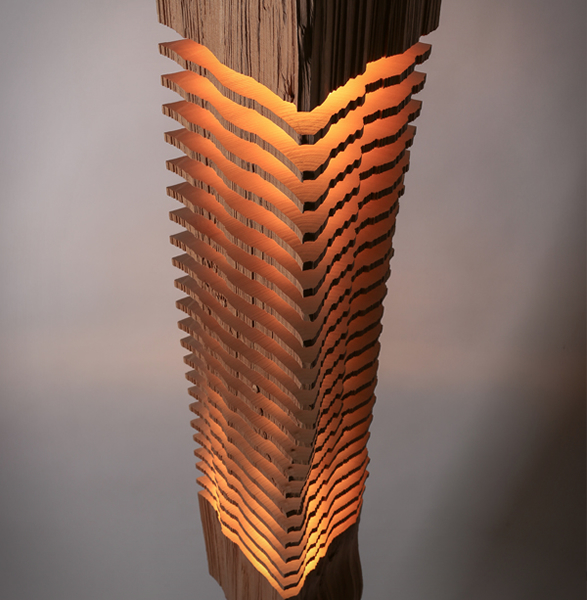 The beautiful collection of fine art wood sculptures explores the hidden beauty of the grain and growth of trees, each piece is unique and deconstructs the wood form to reveal its unique contours, patterns and characteristics. 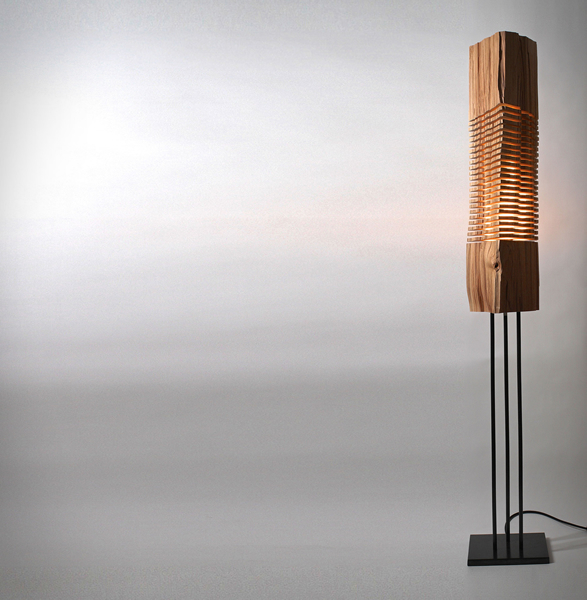 The sculptures are supported by aluminum or steel and are sliced in sections to create a unique form which also allows light to escape from the centre. 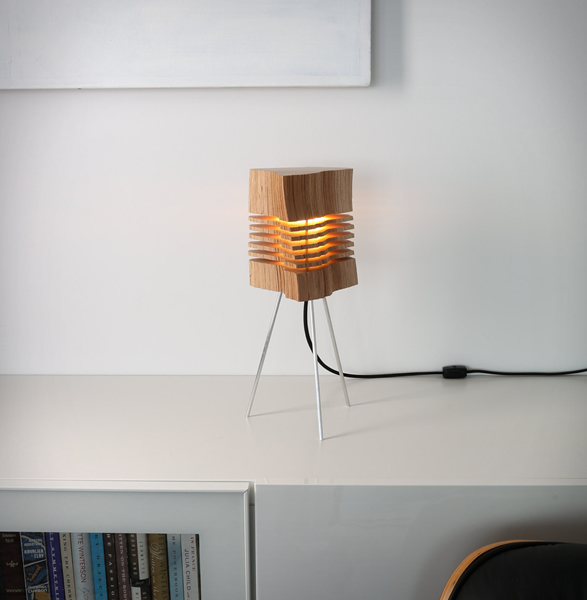 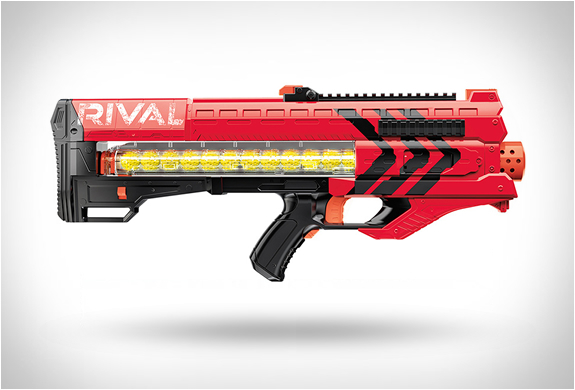 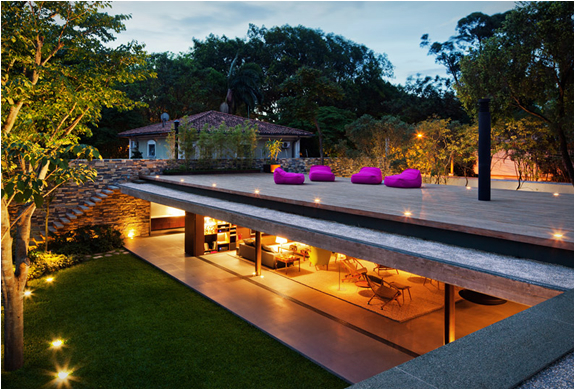 Illuminated by multiple LED lights, they come with an integrated dimmer allowing its light to be adjusted to fit various room lighting conditions.